And here is what I hope it will be in Texas! 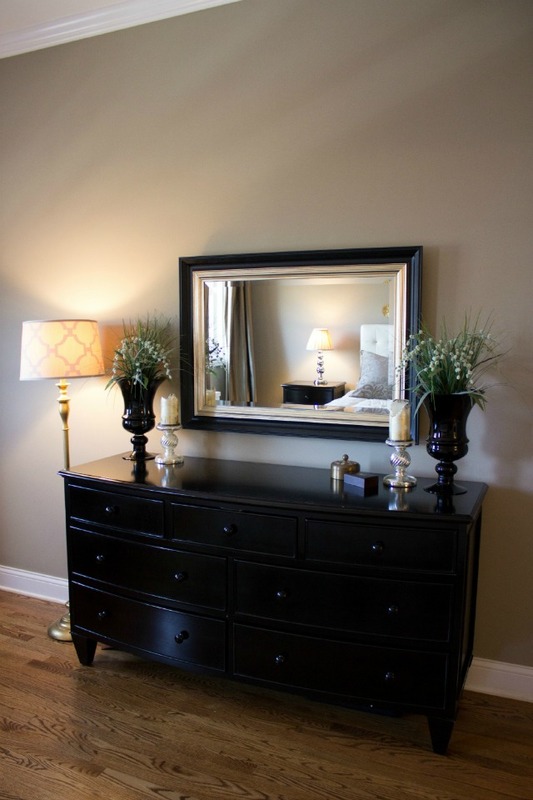 Changing the color palette with a new coat of paint on the walls – We chose a dark blue (Sherwin Williams’ Refuge) for the focal wall behind the bed and a light gray (Sherwin Williams’ Light French Gray) for the rest of the walls. Swapping out the old rug (which will be repurposed in our dining room) with a new one – I’m loving this graphic rug from Home Decorators above. 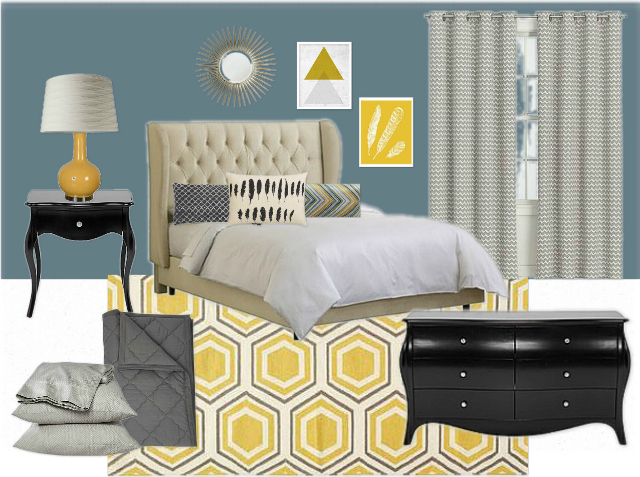 It is a great way to incorporate a 3rd accent color, the mustard yellow, into the room. Upgrading the bedside lamps – Our old lamps were a touch too small paired next to the king sized bed so I was looking forward to getting some larger ones. Lamps are also a great opportunity to add a pop of color so I snapped a pair of these yellow Threshold lamps from Target as soon as I saw them. For purchasing details on any of the items featured in the mood board above, click here or leave me a comment below!